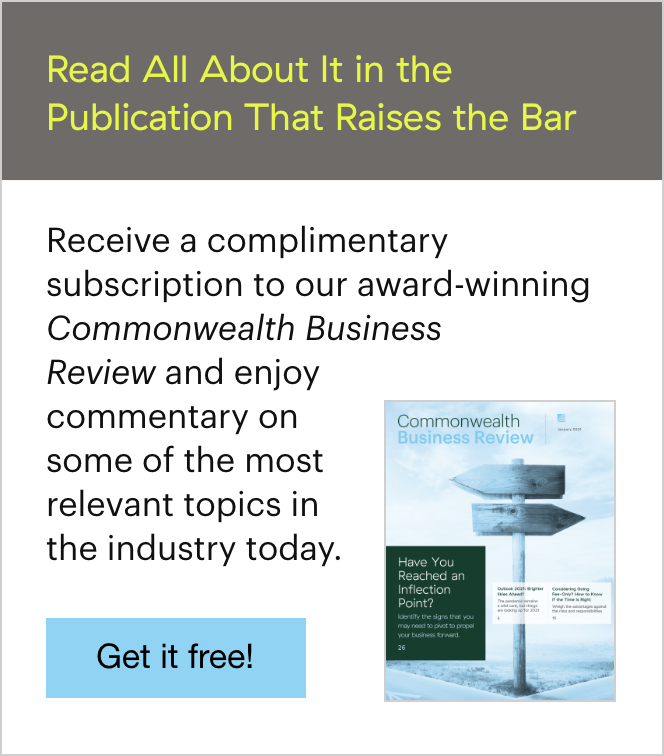 Here at Commonwealth, the Practice Management team and I encourage advisors—as well as ourselves—to strive to continuously improve our work, business practices, and leadership. Year-end is an ideal time to reflect on the successes and missteps, as well as to prepare to start the New Year out on the right foot. 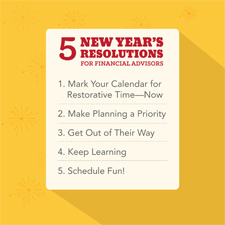 To help make 2015 your best year yet, I've compiled this list of suggested New Year's resolutions for financial advisors. You may choose to adopt one—or maybe all five! You'll have several exciting experiences to look forward to right off the bat. You'll be more likely to take time away from the office on a more regular basis. This will help you stay focused and motivated for a longer period of time—and help prevent last-minute sick days. If you're not sure exactly where you're headed, it's hard to find the motivation to reach that destination. To help ensure that you're making progress toward your goals throughout 2015, I suggest making planning and big-picture thinking a scheduled activity. Draft a simple, one-page business plan for 2015 that focuses on the activities and goals that are most important to you and your team. This is an invaluable exercise for goal setting at an advisory firm. Next, regularly revisit this document to review and revise it, as well as to track your progress. You may want to consider creating an electronic calendar alert to remind you to do this once per month or every quarter—or you may want to schedule meetings with colleagues and employees to do this as a group. You've selected smart, capable professionals to support your work and embody your firm's values. Consider embracing 2015 as the year in which you allow these employees to grow and fully come into their own. What's the best way to do this? Give them greater autonomy. Delegate any tasks that may be better suited to your staff's expertise or that they've expressed interest in spearheading. By the end of the year, you may be pleasantly surprised to see how they are flourishing. Keep a running list of books that you want to read during 2015. To begin, see these suggestions from some of Commonwealth's leaders. Subscribe to a news aggregator to pull articles from your preferred magazine or news source. This makes pertinent, interesting reading readily accessible. If you find a specific article or book intriguing, keep up the momentum. Read additional articles or books by the author, or dig deeper into the topic by reading other authors' points of view. Dedicate a specific time every week for reading. For example, block off half an hour every Tuesday morning for reading, learning, and thinking. It's all too easy for you and your staff to become engrossed in the day-to-day demands of the firm. But it's important to be sure that you take periodic breaks that promote your company culture. This may include a group outing to a baseball game, volunteering at a local charity, or another event that you and your team find fun and worthwhile. Taste test five different energy drinks, power bars, or chocolate. See which one is your firm's favorite. Share one fun fact about yourselves, such as a favorite vacation, memory from college, formative experience, or a bit about your families. Give kudos to your partners and employees. Share an example of superb customer service, an example of an employee's critical-thinking skills, or a story of a colleague's kindness. Consider taking turns each week to sing one another's praises. 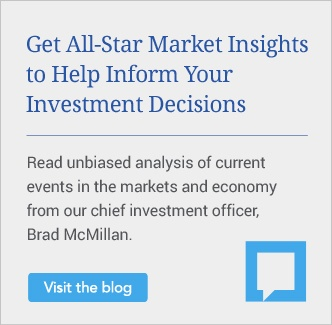 What are other useful New Year's resolutions for financial advisors? Are you making any resolutions for your 2015? Share by commenting below!